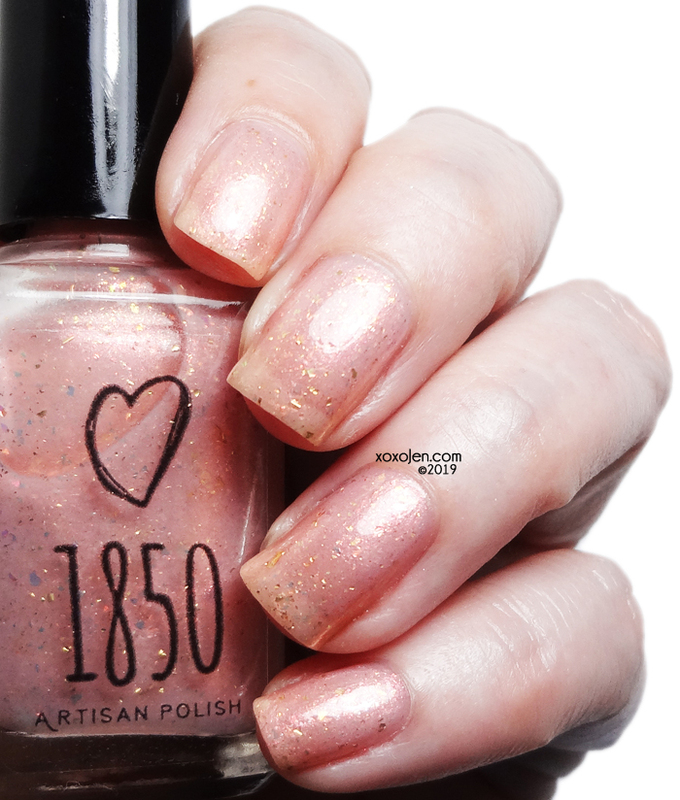 The April Polish Pick Up theme is famous works of art! Launch is 4/5 at 10am Central. 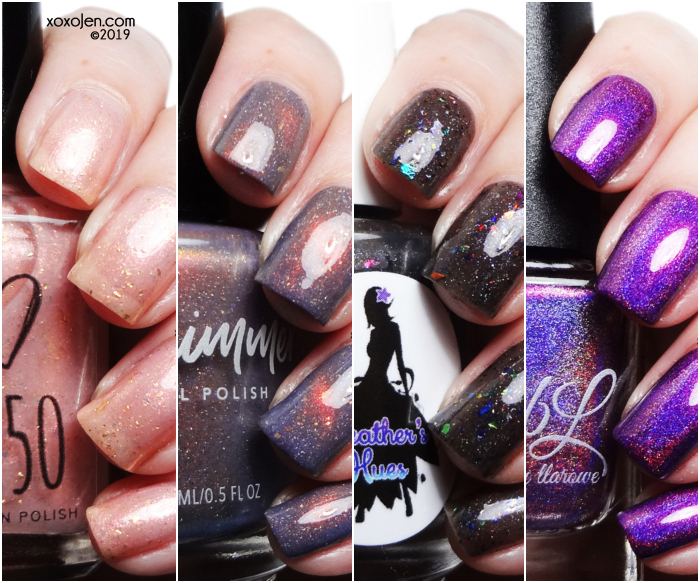 All of the brands have great offerings this month, and I have four of those shades to share with you! Inspired by the many ballet paintings of Edgar Degas. A ballet pink that glows with copper and aurora shimmers, and it is filled with iridescent red to green flakes and delicate gold microflakes. Shown is two coats with topcoat, delicately sheer and beautiful. 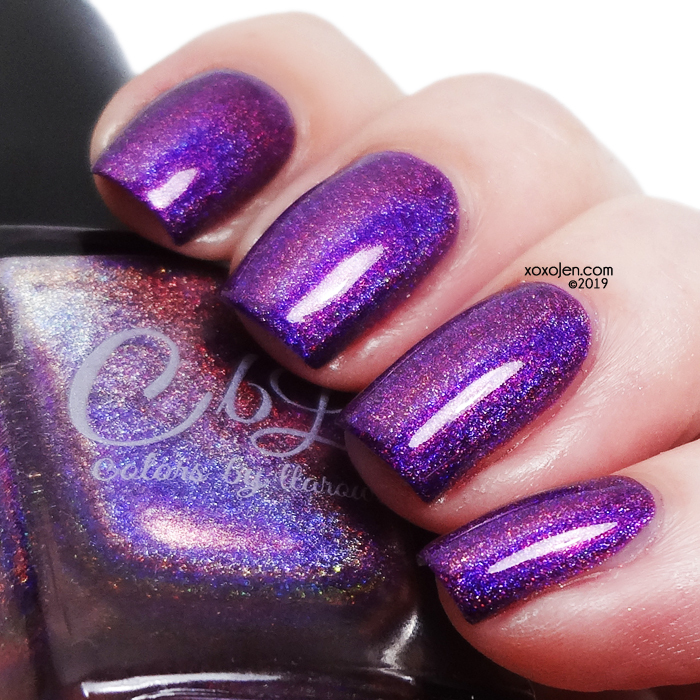 A reddened purple intense linear holo with red and blue flame. Shown is two coats with topcoat, formula was effortless to apply. Inspired by the gorgeous stained glass of La Sagrada Familia. A black crelly packed with a rainbow of different shaped flakes. 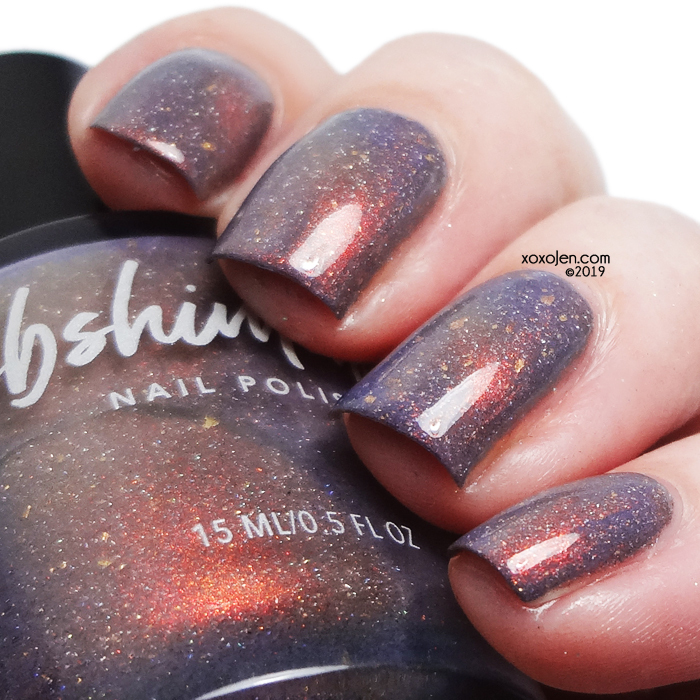 Shown in two coats with topcoat, this polish has such depth and the way the light bounces across the metallic flakes is mesmerizing. Inspired by "The Ninth Wave," a painting by Ivan Aivazovsky. A stormy base of gray with subtle lavender tones. A strong coppery red to gold magnetic shimmer is set off by gold flakes, while bits of micro holo flakes add a hint of sparkle. When used with a magnet, the base's lavender tones and gold flakes really take center stage. Or, use like a regular polish and let the coppery shimmer shine! Shown in 2 coats magnetized. Formula was good, no issues to report.